So while I could only encourage everyone to use the Eclipse 4.1 Application Platform (EAP) to write UI-applications, this post is for those who have existing 3.x code which they want to refactor step by step to run on EAP. So if you ever looked at how EAP are developed the first thing you notice is the new programming model or better said the paradigm shift happing because you use DI and Services instead of subclassing and use of statics. So if you want to move your code gradually from a 3.x development model to EAP what you need is a bridge that allows you to run the refactored UI-Code in your existing 3.x runtime. This is exactly where the Tools Bridge feature as part of the e4 updatesite might catch your attention. It allows you to use the e4 programming model inside the 3.x runtime. 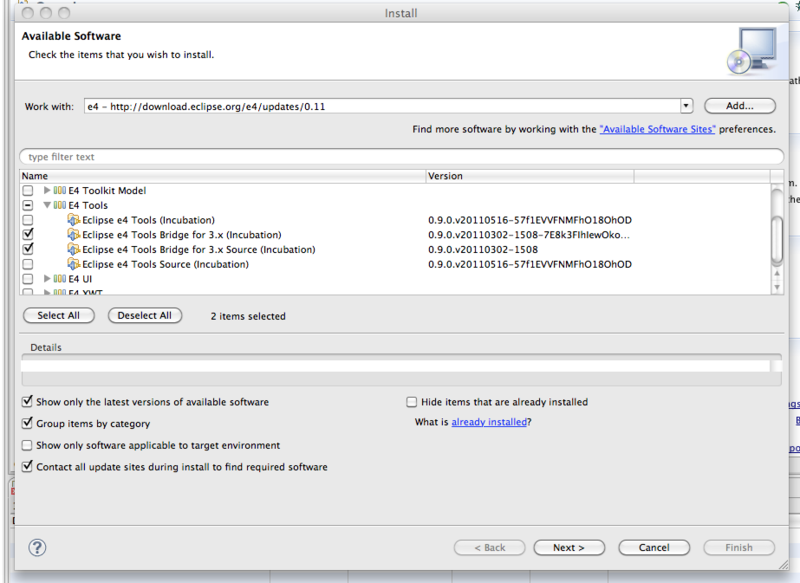 All you need to do to get started is to install this feature into your 3.x workspace. who’ll act as the integration points into Eclipse 3.x. Now you might be confused, right? So just checkout the git-repo with a view i’ve written which works inside 3.x and 4.x and brings a feature into Eclipse I always wanted to have. It shows all images in a folder as a preview. Please note that there’s a bug in the plugin version of one of the plugins from e4 so you won’t be able to upgrade after having installed it so only give it a try on an installation which you have no problem with reverting. Final note: The bridge I introduced here has been built for the e4 modeltooling but will quite likely get more customers in 4.2 because we plan to refactor parts of the exiting platform code to be useable in EAP applications so it might get a key component in 4.2. This entry was posted in 3.x, e4, Enhanced RCP. Bookmark the permalink. 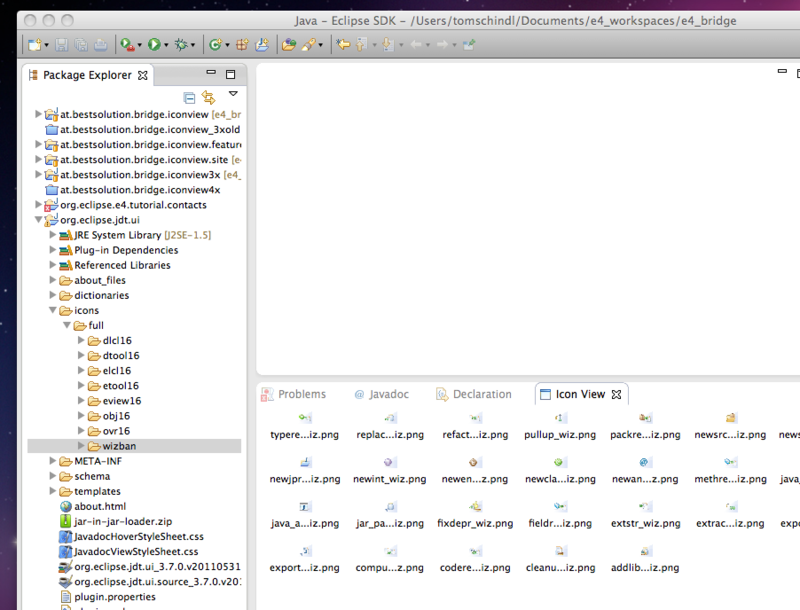 Can’t get it to work, I have a dependecy failure : http://my.jetscreenshot.com/3027/20110620-catd-87kb. 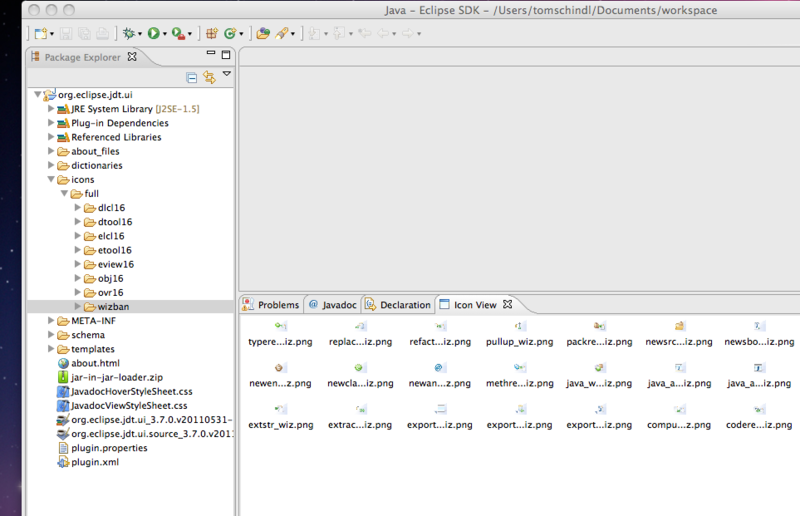 I am using Eclipse 3.7 and try to create a target platform to run your iconviewer but without luck yet. I never tried creating a target platform. All tried was to install the e4-bridge feature into my 3.7 which worked quite well. Hi, there is a typo in your text. Is there a generic class for Command/Handler to use DI? 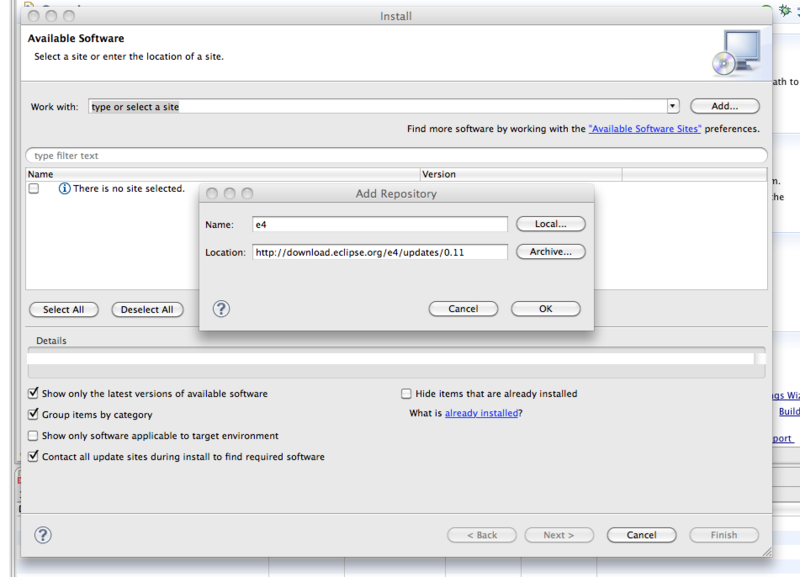 I am trying to use the bridge for my RCP and I have contributions to the View Toolbar and ContextMenu. I was able to resolve the context menu by using EMenuService.registerContextMenu(myTreeViewer, myMenuMgr.getID()). I am having trouble with the Toolbar. Currenlty, I have IToolBarManager mgr = getViewSite().getActionBars().getToolBarManager(); but there is no way, I could find, to use getViewSite() as that was the same problem I had with the contextmenu. Is there any way to handle this?